for my weary and ill soul. God’s light gives me hope. shedding each hope like leaves until one day there are none. A beautiful, heartbreaking quote from one of my favorite books. Just a quick post to say thank you for following my randomness. 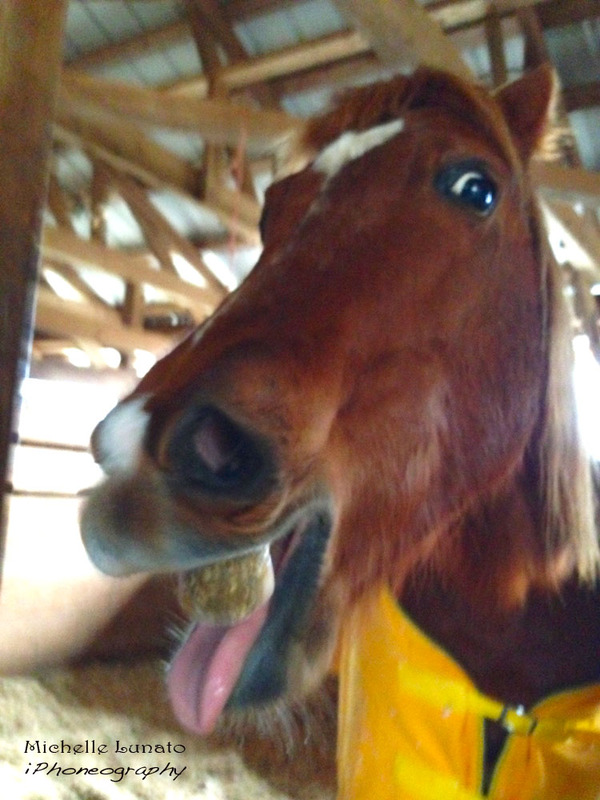 And in honor of my Silly Saturdays, here is my horse, Daisy, wishing you all a good day. To see other blogger’s adorable and funny pets, make sure you check out the Weekly Pet Share that is hosted by Hope the Happy Hugger. Years ago, a little boy looked at me and my coworkers like we were heroes. I don’t know if we were per say by definition, but I will never forget that little boy and I hope… he didn’t forget us. It was 2002 and I was deployed to Bosnia. I was out on a mission with some engineer Soldiers who needed to visit a small village that was in need of a bridge. We drove around the area, checking out the river and possible locations to install a bridge. One area that seemed likely was on or near a villagers property. Naturally, we went over to discuss this with the owners. As they were talking business, I was doing my work. I began documenting the scene, the effort. While doing this, I noticed this little boy. He was around six years old I guess. I will never forget the way he was looking at us Soldiers. As he stood there in his camouflage pants and his Mickey Mouse shirt, his look was of wonder. He was timid but yet eager to see us, watch us. He kept looking at us and I couldn’t help but think his eyes conveyed he was impressed. It touched my heart to the core. It also taught me a lesson: when I am in uniform, I represent more than just me. I AM America. I AM all Soldiers. Well, at least to those seeing us. Over 13 years have passed and I still remember this boy. I look at the pictures now and think, he is a young man now. I wonder what the village is like now. I wonder if he still lives there, or visits. I wonder if he remembers us. And…I wonder if he still thinks we were there to help his country, his village. I am not a political person and certainly won’t claim to understand all the factors involved in wars, but from my perspective, us Soldiers (both American and Nato allies) on the ground were there to help where we could. We wanted to help the people rebuild. We weren’t trying to be heroes, we just wanted to make a difference. I hope we did.